Ric Flair the Nature Boy WWE autographed action figure from the nature boy to you. 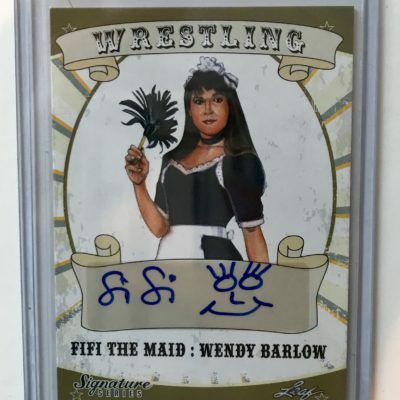 Signed with a black marker on the box of the unopened action figure of Ric Flair. Get it while it lasts. Very limited number of each toy. 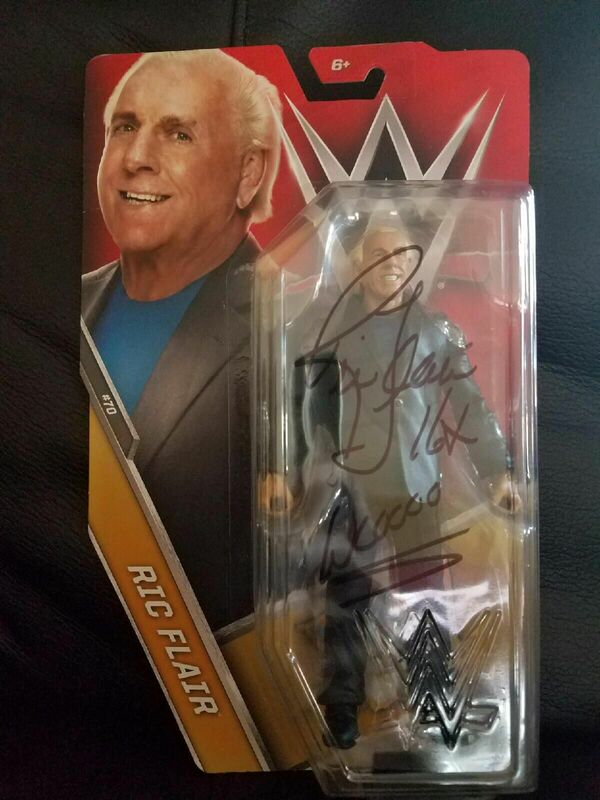 Get your Ric Flair action figure signed by the man himself. 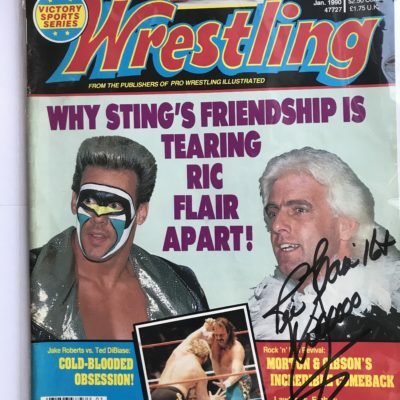 And freshly autographed by Ric Flair. 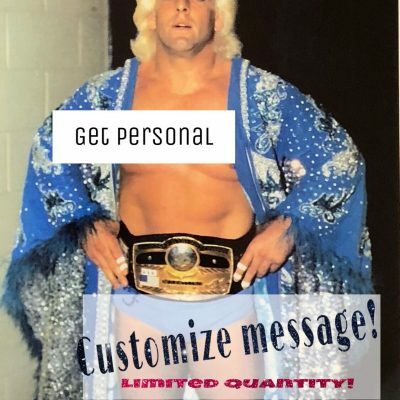 Nature Boy Ric Flair 16x Wooooo!